Games on Demand at Origins 2014 Starts Next Week! – Lots of new and exciting looking stuff! – The Tell Me About Your Character booth! – More diversity than last year in our GM group! If you’ll be at the convention and couldn’t get into the games you wanted or just want to try something new, drop by Games on Demand and we’ll set you up with a great game and a fun time. 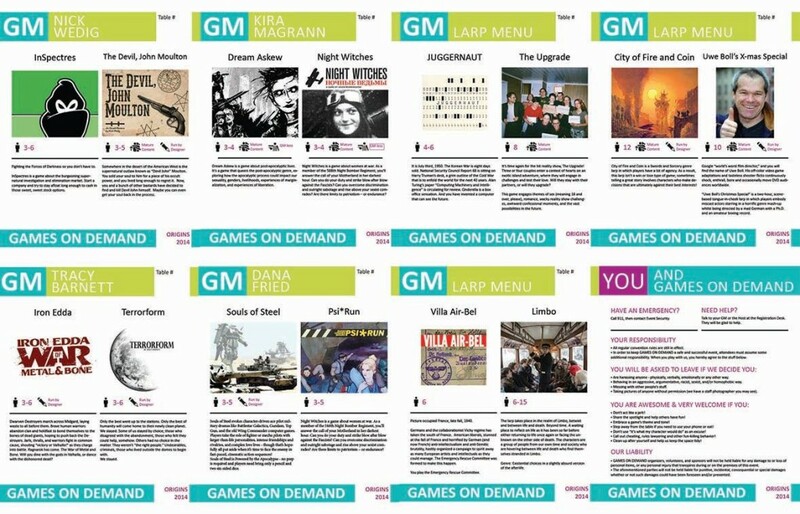 Tagged Games on Demand, origins. « Origins Indie Games on Demand tease!